Join in the worldwide Pandemic competition! The road to the World Championships begins here. Many disease control teams will begin this journey but, in the end, only the best will survive. Z-Man Games is excited to announce that the 2018 season of Pandemic Survival is underway! Throughout the season, teams of two will have the opportunity to test their Pandemic skills in a thrilling competition unlike any other. Join in and experience a completely new way to play Pandemic! Events are currently being scheduled at local game stores and gaming conventions across the globe and more will be added as the year rolls on. You can find a list of events here! 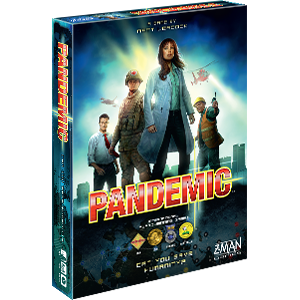 Pandemic Survival is an extreme version of Pandemic where teams face each other simultaneously with the same objective in mind: race to be the first team to find all four cures, or survive long enough to be the sole survivors at the end of the game. During this unique experience, each team will face the same starting situation: identical roles, the same infected cities, and the same Player cards in the same order. Only their strategic choices differentiate them from the other teams and prove to be a winning or losing strategy. With a limited amount of time to take actions during a round, teams must act quickly to determine their course of action as the diseases take over the board. Teams who take up the challenge will find plenty of obstacles in their path. 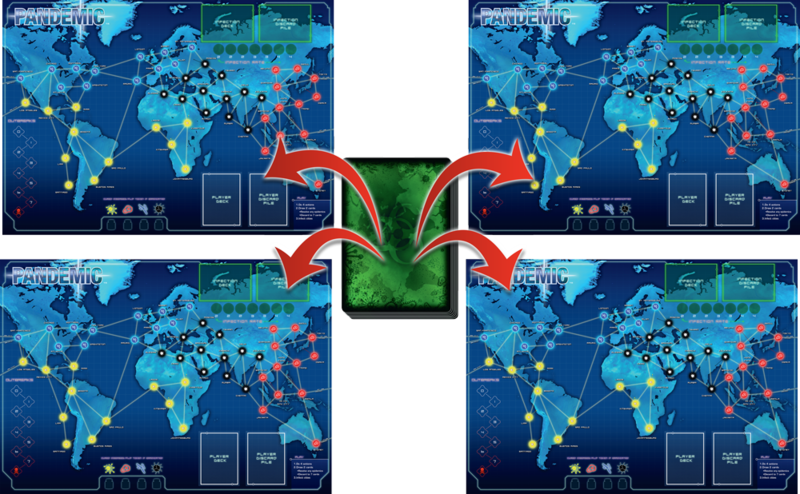 There is only one Infection deck during a game of Pandemic Survival, so teams must all react to the same crises and attempt to treat the same hotspots. What’s more, the Player deck includes six Epidemic cards that amplify the threat posed by the diseases even more. To help them, teams will also find five Event cards seeded throughout each Pandemic Survival Player deck. The beneficial effects of these cards can mean the difference between being overwhelmed and surviving to the next round. If they are used at the right moment, that is. Ultimately, you determine whether you advance or watch from the sidelines. For more information on Pandemic Survival, check out our introduction here. The beginning of the 2018 season of Pandemic Survival marks players’ first opportunities to experience this unique format and earn their place in increasingly competitive tournaments. Your road begins at Regional events where you can punch your ticket to your National Final. Here, you’ll compete for the right to represent your nation at the Pandemic Survival World Championship! 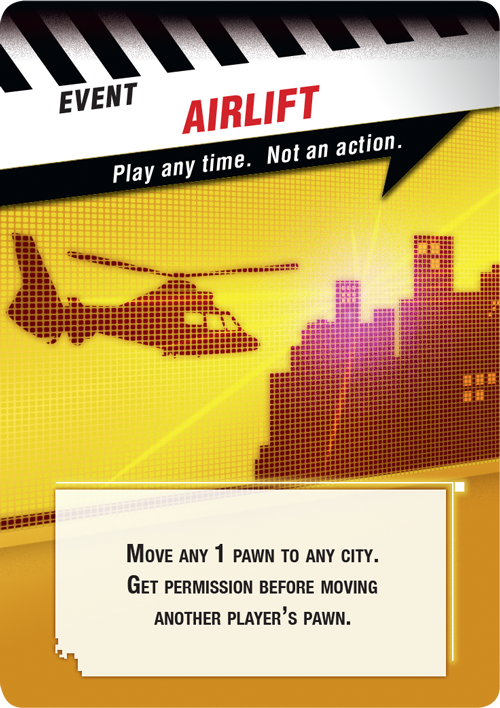 Many lucrative prizes await competitors at all levels, culminating at the World Championships, where the winning team will gain the ability of the Airlift card: To go to any city on the Pandemic board! If you aren’t ready for the competitive scene, though, there are plenty of ways to enjoy Pandemic Survival. “Discovery tournaments” will be held throughout the 2018 season and are a perfect way to introduce yourself to Survival. 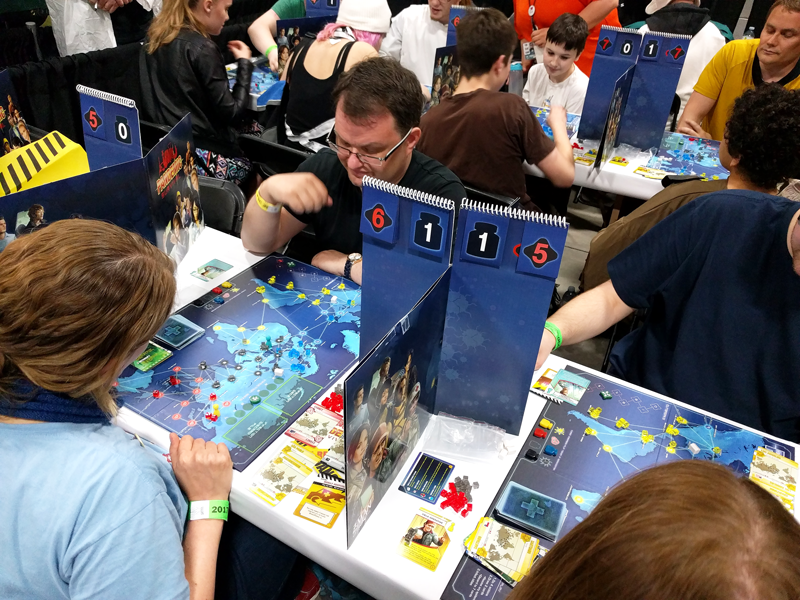 Although the winners of these events do not qualify for their National Finals, participants get a chance to experience the tense atmosphere of a Pandemic Survival tournament and prepare themselves for official tournaments. On top of the tournaments and discovery events, Pandemic Survival celebrates all things Pandemic. The original game redefined cooperative games when it was first released in 2008 and Survival is the perfect time to look to the future of the series. To this end, a new game in the Survival Series is released to coincide with the Pandemic Survival World Championships each year. These games pair the engrossing core cooperative gameplay of Pandemic with unique mechanics related to the site of the World Championships. Today, we’re happy to announce that the 2018 Pandemic Survival season will culminate in the World Championships at the Lucca Comics & Games convention in Lucca, Italy, from October 31 to November 4, 2018! The next entry in the Survival Series will be released to coincide with the 2018 World Championships in Lucca, Italy! In addition to being the backdrop of the World Championships, the beautiful Italian countryside will set the stage for the next entry in the Survival Series. 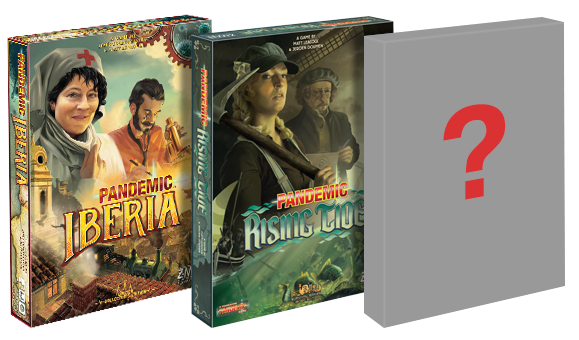 It will join Pandemic: Iberia and Pandemic: Rising Tide in providing a wholly unique Pandemic experience. More details about this new game will be announced at a later date. Stay tuned to our website for more information! You’ve saved the world in Pandemic countless times. Now it’s time for the ultimate test. Join the community, challenge yourself, and experience Pandemic in a whole new way during the 2018 season of Pandemic Survival!